I called Jane immediately, and we became friends. Each time I would visit her, Jane would send me home with a pile of books. I’d read her captivating fairy tales to my children at bedtime. The Moon Ribbon, whose heroine shared my eldest child’s name, was a favorite, along with The Girl Who Cried Flowers; Jane had us in her spell. Even on those nights when I said, “No story tonight, it’s too late,” one of my children would cleverly slide a Jane book off the shelf. “Okay, but just a few pages,” I would relent. Before we knew it we were all engrossed, and couldn’t put the book down till the end. Which was, of course, exactly what we all needed to settle us at the end of a long day. And the collections of poems! Often as I read a poem aloud, it would grow a melody. Jane writes so melodically, it is almost inevitable. I’d try to keep the melody in my head till I could go downstairs and wrap a piano part around it. Both Bouquet (Goldie’s Garden) and Mermaid’s Lullaby came about that way, as did several other poem-songs I recorded on my North of Mars album. My connection with Donna goes back nearly as far, to my early days of touring and festivals. I remember her singing me her song Blessing, and her lovely playing on it when I recorded it in 1996 for my album Stone by Stone. I met Max at a gathering at Donna’s house last year, where we got deep into conversation about music and recording and production. I had been listening to Mist Covered Mountains’ recording practically non-stop, and loved both Max’s guitar playing and Molly’s singing. 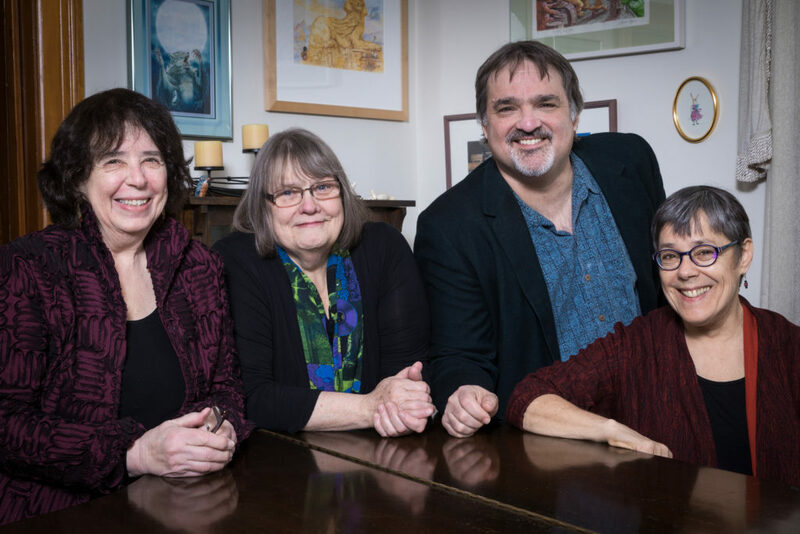 So when Donna approached me in the spring with her idea to collaborate on a concert focused around Jane’s poems, I was intrigued, and immediately agreed – I knew it would be fun working with all of them. And indeed, collaborating with Donna and Max and Molly on these old songs, as well as on new ones we set specifically for this project – and weaving Jane’s recitations among them – has been delightful play. What a joy to find alchemy in bringing these long-time friendships full circle.